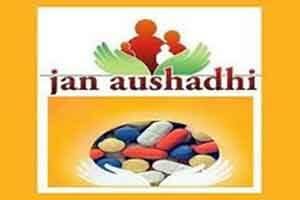 NEW DELHI: Plans are afoot to open Jan Aushadhi stores at around 1,000 major railway stations across India as part of drive to make quality medicines available at low cost to the public, government said. Plans are also on to open such outlets at bus stands in different states with an aim to take the network to small towns and villages. “I am going to speak to Railways Minister Suresh Prahbu in the coming days to open Jan Aushadhi stores (JAS) in 1,000 main railway stations in the country,” Kumar told reporters here. “I am going to write to the state chief ministers and later speak to them to open JAS wherever there is a bus stand,” the minister added. “By the end of this year, we will have at least 3,000 JAS across India. The turnover of JAS will also touch Rs 60 crore, up from Rs 3 crore,” Kumar said. “Out of 10,000 pharmaceutical companies in India, only 1,400 are WHO GMP certified and only they will be able to participate in tender process,” Kumar added. “The aim is to take JAS to every block level of the country,” he said. “Today 23 therapeutic areas are covered with 500 medicines and 150 health supplements in JAS,” Kumar said, adding that the focus is on drugs for major diseases such as heart ailments, diabetes, respiratory problems, HIV and blood pressure. “A substitute cannot be given therefore we are going to bring in amendments in the Drugs & Cosmetics Act,” he said. The minister said however that the government has no intention of banning branded drugs in the country saying there is also a need to encourage drug development and make business of pharmaceutical firms viable. “Otherwise, we will become what we have in bulk drugs where we are a net importer, that too from only one source (China),” Kumar said.